In 2017, a series of devastating hurricanes swept through the southeastern United States, Texas and Puerto Rico. Communities there are still reeling from the devastation, as the task to rebuild homes and businesses remains a massive undertaking. As part of our commitment to helping the communities we serve wherever and whenever possible, Tractor Supply took immediate action to help during and after the storms. However, knowing that there was still a great deal of work to be done at the one-year anniversary of the storms, TSC sought to continue to have a positive impact. Through a partnership with the Arbor Day Foundation, we were able to do just that. Following a major storm, immediate aid often goes toward food, water and shelter, but people often overlook the devastation on the local ecosystem. The strength of these hurricanes resulted in permanent damage to the natural landscape that required human intervention to correct. To provide that intervention, the Arbor Day Foundation, a nonprofit conservation and education organization dedicated to planting trees, committed to supplying five million trees to the reforestation efforts in Florida, Texas and Puerto Rico. 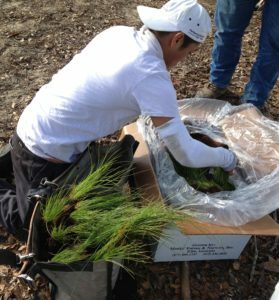 Reforestation provides several long-term benefits, including improved air quality, support of local wildlife habitats, better flood control and cleaner water, among others. With Tractor Supply’s shared commitment to supporting and sustaining a healthy environment, the Company was eager to help the Arbor Day Foundation achieve its ambitious goal. In September and October of 2018, TSC announced a unique partnership in which every Husqvarna chainsaw purchased in a TSC store or online would result in five trees planted in the impacted areas, with a commitment from TSC of up to 50,000 trees. The initiative ran for just over a month and resulted in the maximum donation. In 2018, local communities in Florida set out to plant 20,000 trees donated by Tractor Supply as another step in their journey to rebuild. Longleaf pine saplings are now growing in Florida’s Ecofina Creek Water Management Area, Etoniah Creek State Forest and Withlacoochee State Forrest and will eventually aid in protecting critical water resources, improving habitats and increasing diversity of food sources for wildlife species such as white-tailed deer, bobcats, Sherman’s fox squirrels, bobwhite quails and many more. 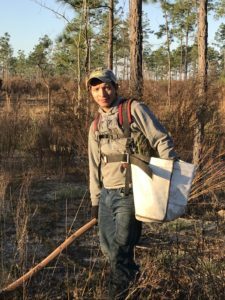 The partnership has continued most recently with an additional 5,000 trees planted at the Sandyland Sanctuary in Silsbee, Texas, in January 2019. Trees planted in Sandyland Sanctuary will ensure a multi-aged, uneven forest to benefit wildlife such as multiple fox species, the American bald eagle and bobcats. With our efforts and those of the many charitable organizations that have committed time, energy and resources to this important cause, we all look forward to seeing these impacted communities not only recover but thrive.